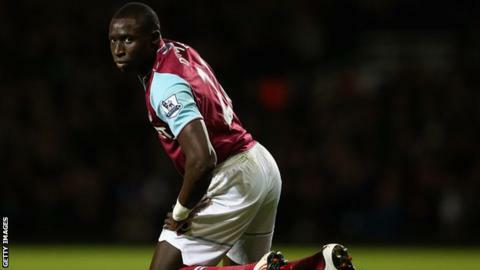 Sam Allardyce has suggested there remains a possibility Mohamed Diame will leave the club before Thursday's transfer deadline. The West Ham boss said: "There are certain situations where, yes, we might lose the player. I hope we don't. "It can change between now and 11pm on Thursday, in the flick of a text, or an e-mail, or a phone call." and has made 18 appearances in the Premier League for the club. He continues to be linked with a move despite his statement that he is "very happy at the club". Allardyce admits he is as confused as anyone about the situation. "My understanding is that it is total confusion," said Allardyce ahead of Wednesday's match with Fulham. "I am sat there listening to what is going on [in the media], but deep down inside behind the scenes I speak to the chairman and where we are at the moment we are relatively comfortable regarding Mo Diame. "However, whatever Diame says to me today might change in an hour's time - if Manchester United ring up in one hour's time, he's not going to want to stay is he? "If the situation develops accordingly there is going to be the chance we lose him. We are trying to keep him. "It is hugely stressful window as ever and we will all be glad when it's over." Allardyce also revealed that the club had missed out on signing left-back Stephen Warnock from Aston Villa. He said: "Stephen we thought was a goer yesterday, but we had another club in the Championship [reported to be Leeds] make him a longer-term offer, which he has accepted. "Ours was more a short-term offer with a view to a further and longer deal, but at the end of the day he chose the more secure one. "That was a lot of hard work which went to waste yet again. You constantly waste your time because 99% of the time you don't get what you want."